Looking back a few years, French music to foreigners was charactarised by Charles Aznavour, Serge Gainsbourg, Edith Piaf and Johnny Hallyday- otherwise known as France's Golden Oldies. But with a new generation comes a new sound and this sound bares no resemblance to the kitsch classics ringing out of Montmartre cafés: this sound is fresh. French artists are no longer clumsily copying American music trends, the likes of Daft Punk, Camille, Nouvelle Vague, David Guetta and Manu Chao are creating their own sounds, and have gathered quite a fanbase abroad in the process. John Lennon once said that “French rock is like English wine” and certainly, just as French wine remains the best, the British still dominate the rock scene. From The Rolling Stones and Pink Floyd to The Killers and Cold Play, British rock supremacy is not about to stop. And yet France is on its heels and seems to have eventually found its own way to rock. From the present rulers Noir Désir to the young Phoenix, it’s obvious: France now rocks. Moreover it is not only rock-poetry sung in French anymore, but has evolved into an up an coming international youth scene. So get ready for their timid invasion! Like Britain, France also has its classics. Though little known to foreigners, they are what the new generation have grown up listening to and are worth gettining to know if you want an insight into their influences. 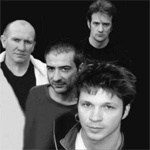 Noir Désir used to be the clear leaders of French rock during the '90s and early 2000s. With 11 albums released between 1987 and 2005, Noir Désir have left more than left their mark on French music. Their style is due to their charismatic lead singer and composer Bertrand Cantat and his band mixes up poetic lyrics in both French and English (but mostly in French) with underground style music reminiscent of The Clash. Audience and critics have continually asked for more since the release of their first single“Veuillez rendre l’âme (à qui elle appartient)” released in 1989. “Du Ciment sous les Plaines”, 1991, “Tostaky”, 1992, “666.667 Club”, 1996 and “Des Visages des Figures”, 2001 contain hits such as “ Aux sombres héros de l’Amer”, “Les Ecorchés”, “Un Jour en France”, “Tostaky”, “Ernestine”, “L’Homme pressé”, “Comme elle vient”, “Lola”, “Le Vent nous portera”… All worth listening to. Regretably, Noir Désir haven't had any new releases recently. This may have something to do with the fact that their lead singer, Bertrand Canta, was jailed in 2003 for the murder of his girlfriend, the actress Marie Trintignant. Very well known in France for their surrealism and eccentricity, Dionysos is one of the most famous French rock bands since the '90s. Their songs, performing both in English and French transport the audience into their own weird world influenced by Tim Burton and Roald Dahl. Made for the stage, they must be seen in concert, but right now you can start by listening to one of their five albums. Sometimes compared to Beck by the French press, their forth album "Western sous la Neige" includes hits such as "Song for a Jedi" and "Anorak" and their last one "Monsters in Love" deals with more serious themes such as death as well as axploring new sounds. Dionysos can now do pretty much what they want in musical terms: they are now established French Rock royalty. Miossec have been a trio worth watching from the start. Their first album "Boire", released in 1993 was awarded album of the year by the French magazine "Les Inrockuptibles", which is well known for being harsh. Their best one remains "l'Etreinte", 2006 which includes songs such as "La facture d'electricité" and "Trente ans". Singer Christophe Miossec has many talents: he has also written texts for Alain Bashung, Axel Bauer, Jane Birkin, Jeff Bodart, Juliette Gréco, Johnny Hallyday, Polar and Mass Hysteria and is now working with Yann Tiersen to create something that will shatter musical genres. A major artist who is going to leave his mark on French music. 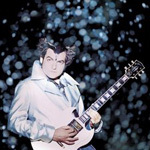 -M- alias Matthieu Chedid is a French song-writer, singer and accomplished guitarist. Louis Chedid's son, he has been influenced by both jazz and Jimi Hendrix and by poetry since his grandmother is the writer Andrée Chedid. What a melting pot! And the result is a genius musician who looks like a super hero with M-style hair. -M- is not only about his music, he is a whole enchanting world which goes some way to explaining his enormous fan-base. 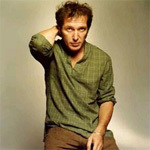 His first album "Le Baptême" released in 1997 was awarded two "Victoires de la Musique". "Je dis aime" 1999 and "Qui de nous deux" 2003 confirmed his talent: poetry, sensitivity, originality are mixed with a pop rock background and M's particular voice. Hits follow hits: "Machistador", "Je dis Aime", "Onde sensuelle", "Monde Virtuel", "Mamma Sam", "Bonoboo", "Qui de nous deux", "A tes Souhaits"... However Matthieu Chedid is a guitarist before being a singer and currently he seems to be more busy composing for others than singing his own songs. 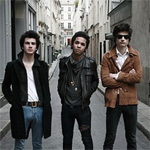 The French rock scene has been shaken up recently by revelations of young and promising artists. Amongst them we have Pheonix, remarkably talented and already famous. They are one of the most interesting bands to have come out of France recently. We also have the amazing duo The Do (a must-listen too), Cali, Aaron, the vein Luke-Deportivo and the girls from La Grande Sophie to Superbus. 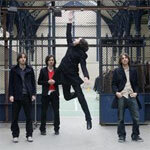 Phoenix' band members used to work with the great French band Air. However in 2000 they released their own album, "United" which went on to cause quite a stir on the international music scene. Paris, London, L.A., and New York were all captivated, with everyone from Sofia and Roman Coppola to Air heaping praise on them. And with good cause: great songs, great performances and obsessive attention to details. 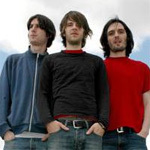 Powered by tracks like "Too Young" (which was featured on the Lost In Translation soundtrack), "Honeymoon" and "If I Ever Feel Better," critics hailed "United" a brilliant debut, an album that one U.K. critic even described as "undoubtedly the best post-French house, '70s country-rock concept album of modern love songs you're ever likely to hear." 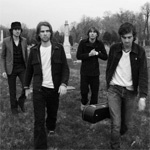 The band even appeared in the movie "Marie-Antoinette". A brilliant success story which is not about to stop any time soon. For "Alphabetical" in 2004, Phoenix once again produced a musical mutant. The album opens with a bang: "Everything Is Everything" while "Run, Run, Run" is a highly improbable collision between folk guitar and a pounding hip-hop beat. "I'm An Actor" ushers in a radical change of tone: a monologue from the mouth of an actor drunk on a blues folk inspired musical background. The atmosphere is heavy, the sense of uneasiness immediately palpable. "It's never been like that" released in 2006 appears like the masterpiece they have always seemed to promise. The atmosphere is harsh, as if it had been recorded on live. "Napoleon says" could raise the dead with its beats whereas "Consolation Prizes"'s pop sound is astonishing and with the influence of both The Strokes and Cyndie Lauper. 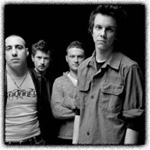 Prepare yourselves for the release of their new album in early 2009. Latest discovery of the French rock scene, The Do is an explosive duo composed of the Finnish-French singer Olivia and the musician Dan who released their first album called "A Mouthful" in 2008. She brings a love of rock and pop, he is more into jazz and movie music: together they have created a sound that is both surprising and interesting. 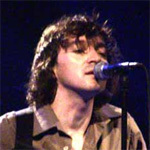 Christophe Miossec's close friend Cali evolves in the same vein and is one of the pioneers of the new French rock scene. He has said that he used to dream of becoming a rugby player until a 1984 U2 concert shifted his priorities to music. Influenced by Anglo-Saxon rock and French songs such as Léo Ferré and Jacques Brel, he has created his own unique style which is either loved or hated. His first album "L'Amour parfait" and its pop rock sounds with acidely funny lyrics caused a sensation in France. Everybody kept singing "Elle m'a dit" or "C'est quand le bonheur". Four albums have already been released and the last one "L'espoir" has been described as his best yet. Buy him and judge for yourself. Fans of Noir Désir and inspired by their music, the three members of Deportivo decided to create their own rock band. Influenced by Nirvana, Noir Désir, Miossec, Georges Brassens and Les Béruriers Noirs, Deportivo make energetic and uncompromising rock which has seduced none other than Gordon Raphael, the producer of The Strokes.Their last album "Deportivo", released in 2007, confirmed their talent and revived the French rock scene which would lack lose a bit of its recently acquired sense of innovation without them. Their Miossec cover "Les Bières aujourd'hui s'ouvrent manuellement" is especially impressive. Luke is an incredible French band. 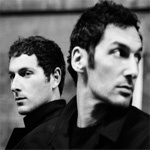 Their first album "La Vie presque", 2001 was more Pop but their second opus "La Tête en arrière" is most definitely rock! Their fan-base has remained loyal since "La Sentinelle" and "Soledad", and with good cause: with great lyrics and a music oscillating between brut rock and ballads, Luke are also unbelievable on stage especially when they play with their friends Deportivo like they did in 2005. Awarded Victoire de la Musique in 2005, La Grande Sophie had already released five albums and another one is on its way. Inspired both by Jacques Dutronc and Chrissie Hynde (The Pretenders), La Grande Sophie does gentle rock ballads including the very famous hit "Du Courage". I am personally not a fan but leave you to make your own mind up. Pop rock band (pop above all) which has a large teenage fanbase, Superbus try to emulate No Doubt ... They do not entirely succeed, though some hits such as "Butterfly"and "Lola" have been broadcast a lot. The young Parisian scene: “French rock revival”? The Parisian scene has shown incredible dynamism over the last few years. Venues such as Le Gibus, La Flèche d'Or, le Tryptique and Le Batofar have revealed new young and very promising rock artists. The famous Phillipe Manoeuvre, a journalist at "Rock and Folk" (a French magazine) has even spoken of a " French rock revival". Fashion phenomenon or French rock revival? Audience is strongly divided. Four bands are to be noted in particular: the BB Brunes, the Plastiscines, Naast and the Shades. These Parisian teenage bands performed together in 2007 at the Olympia and some of their songs were part of the "Paris Calling" copilation CD in 2006, which was released in the presence of the Minister of Culture Renaud Donnedieu de Vabres and none other than our very own home-grown talent Pete Doherty. Signed by EMI music the Plastiscines are the second leaders of this teenage scene. 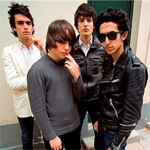 As fashionable as the BB Brunes they released their first album "LP1" in 2007 and already have a hit, "Loser". Influenced by The Strokes and The Libertines, as well as by Blondie and The Kinks, the beautiful teenage girls are in the same vein as the BB Brunes and could be criticized for the same reasons. And yet the phenomenon is not about to stop. Naast aims to follow in the footsteps of bands such as The Ramones and The White Stripes. The master track "Mauvais Garçon", off their debut album "L'Antichambre", appears in the famous video game Guitar Hero III as a bonus track. Rather a good begining! Like the BB Brunes and the Plasticines they are as loved and criticized but no one can deny that they are a huge phenomenon. The Shades must be the most talented of these artists, perhaps because they are yet to sign with a big label. Therefore they have remained slighty less commercial (just a little in fact...) and keep on producing indie rock as they want to. Their first album "Le Meurtre de Venus" 2008 is pleasant to listen but it's not quite a musical revolution... or maybe not just yet. In fact musical backgroung is really pleasant but it seems that the five boys have to work harder on their lyrics which are still a little immature. - Vegastar (they were good friends of Kyo and Pleymo). - Aston Villa (like your football team). they toured last year in Vietnam and Indonesia. - Louise Attaque, Matmatah,kaolin, 10 rue de la madeleine and fallaster are worth being mentioned too.